The U.S. Health and Human Services Department, the agency that oversees and controls more than $1 trillion in Medicaid and Medicare funding has made a bold move to protect the rights of nursing home patients and their families. The agency has just issued a new rule that prohibits any nursing home that receives federal funding (pretty much all of them) from forcing victims of elder abuse, sexual harassment or wrongful death into private arbitration dispute resolution, rather than court. The rule would affect nursing homes across the nation caring for approximately 1.5 million residents. Arbitration agreements, often stuffed into the admissions paperwork, require patients and their families to settle their complaints about the quality of care or serious abuse before a private arbitrator. The outcomes of these dispute resolutions are often heavily skewed in favor of the industry. Not only are damage awards less likely, they are lower when they are awarded. Arbitrators aren’t required to follow the law and their proceedings are not made public. 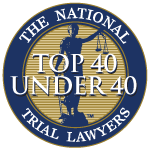 Although this has tremendously aided the nursing home industry in driving down litigation costs, it has proven a serious roadblock to justice for elderly patients and families of patients who have been abused and neglected. Because these arbitration agreements are mandatory and often must be signed as a condition of admission, patients are in effect forced to choose between receiving adequate medical care and forfeiting their legal rights. The new rule goes into effect November 28th. 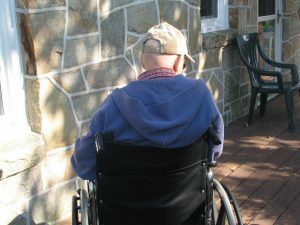 George Slover, senior policy attorney at the Consumers Union (an extension of Consumer Reports), called the change, “a tremendous advance” in protections for nursing home patients. Seniors and their families don’t always think about – or may not even be aware of – the importance of being able to have a nursing home abuse or wrongful death claim decided by a court, rather than an arbitrator. As it stands, looking for a long-term living facility is one of the most stressful times. In many cases, seniors are moving into nursing homes following an injury or illness. They aren’t focused on scrutinizing all of the fine print in the nursing home admissions contract. The new rule, issued by HHS branch Centers for Medicare and Medicaid Services (CMS), will give seniors and their families greater protection and is perhaps the most substantial change in the agency’s rules governing long-term care facilities in more than 20 years. Perhaps unsurprisingly, the nursing home industry is vehemently opposed. A representative of the American Health Care Association released a statement saying the rule represents a clear overreach by the CMS, one that is not necessary to protect the rights, health and safety of residents. But of course, there is a lot of evidence to show that’s just not true. Take, for example, the case of a 100-year-old woman who was strangled in her bed by her nursing home roommate – a woman with whom there had been previous conflict. Her family was prohibited from taking their case of negligence to the court because of an arbitration agreement. Same story for the family of a 94-year-old Pennsylvania woman who died of head trauma. Our Fort Myers nursing home injury attorneys firmly believe that all plaintiffs – but especially those who have suffered such painful abuse, neglect and mistreatment – deserve to have their cases heard in a court of law.